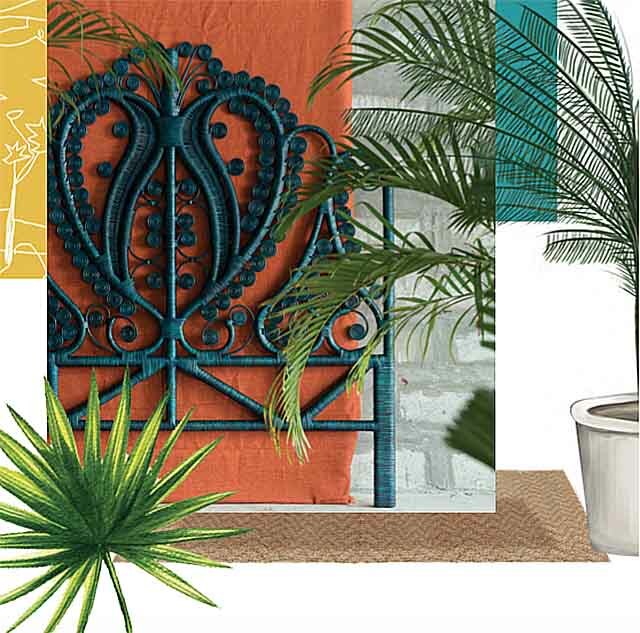 Tropical design and summer style usually equates to woven furniture in a neutral palette. 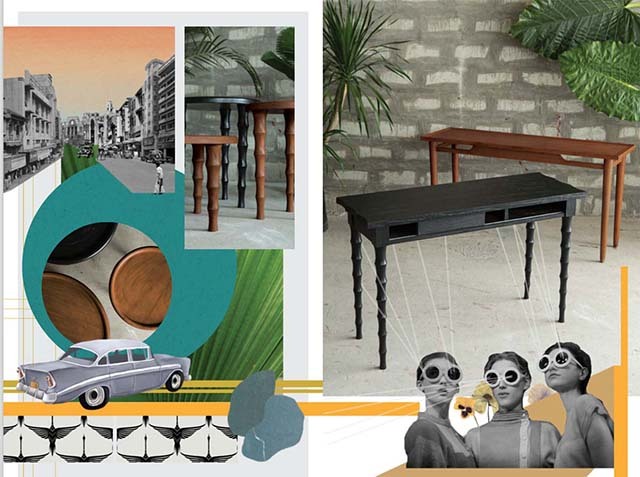 This wasn’t the immediate direction of interior designer Kristine Neri Magturo for her new summer collection for Pasig furniture store Urban Abode. The designer drew inspiration instead from memories of summers spent with her family, and this gave birth to the “IDYLLIC: Days In The Sun” collection, which features nostalgic wicker pieces mixed with a hint of midcentury modern style. 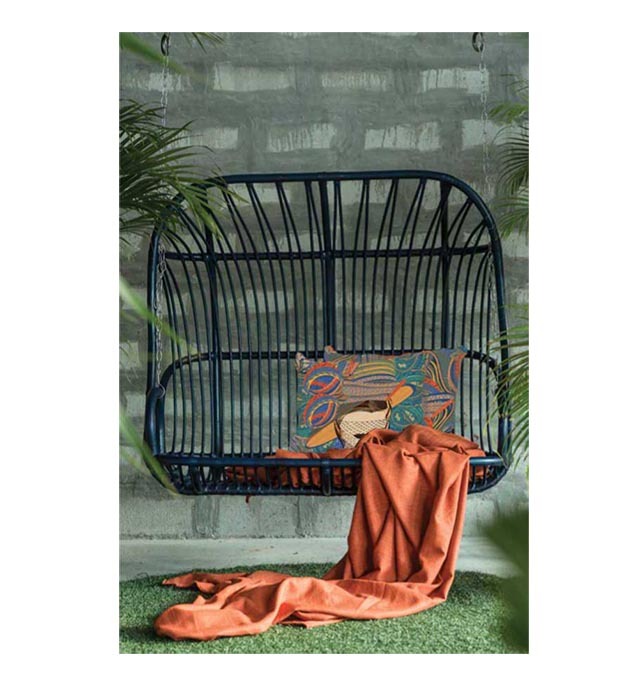 This relaxing, rattan swing-lounge in a sharp navy blue conjures visions of lazy, beachside afternoons. The boho-printed pillows are by home-grown soft furnishings brand The Olive Tree. Kristine recalls memories of a charming peacock headboard in her aunt’s room. The memory is reinvented into this new flamboyant headboard painted a cool, teal green. 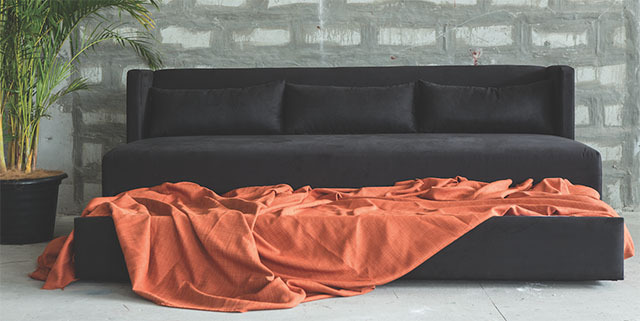 This chic yet versatile three-seater sofa opens to reveal a pullout bed. 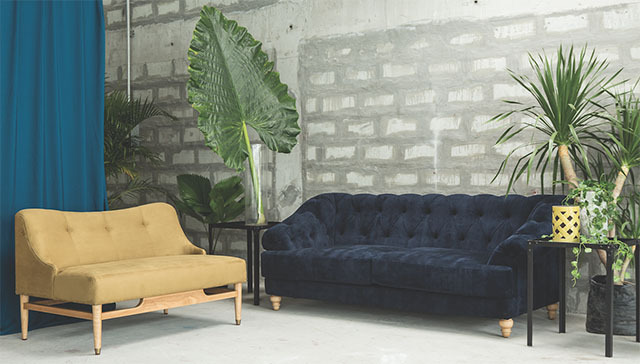 Classic chesterfield and tufted sofas are reissued in juicy hues of yellow, moss (main photo, above), and royal blue. The delightfully named Cavell, Thatcher, Curie, Stowe, Selway, and Stanton side tables and consoles all have distinct, midcentury-bamboo legs. 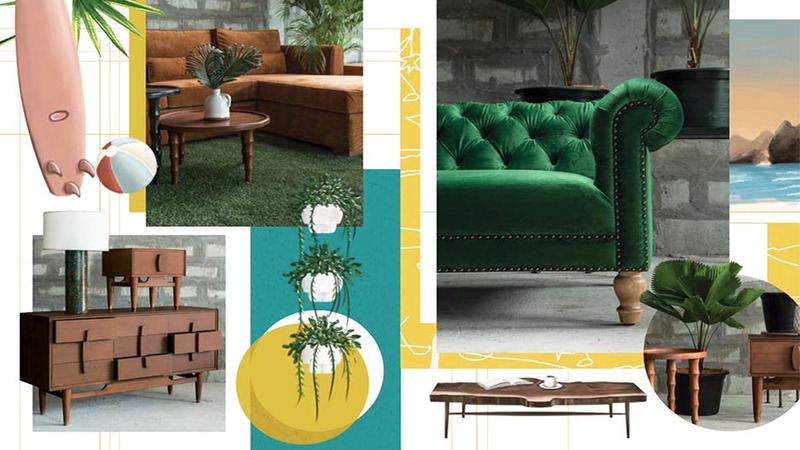 The collection also celebrates Urban Abode’s fifth anniversary, and will be launched tomorrow, March 14, at their showroom at CW Home Depot, 1 Julia Vargas Ave., Pasig City, or visit their website and Facebook page.